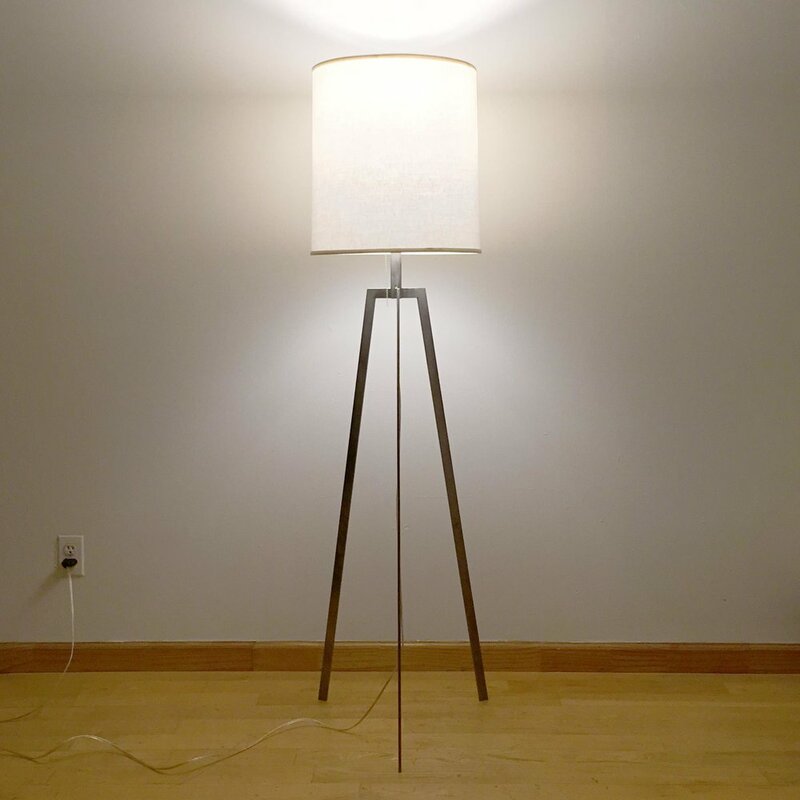 If you need a proper lamp to fill your living space with light, look no further. 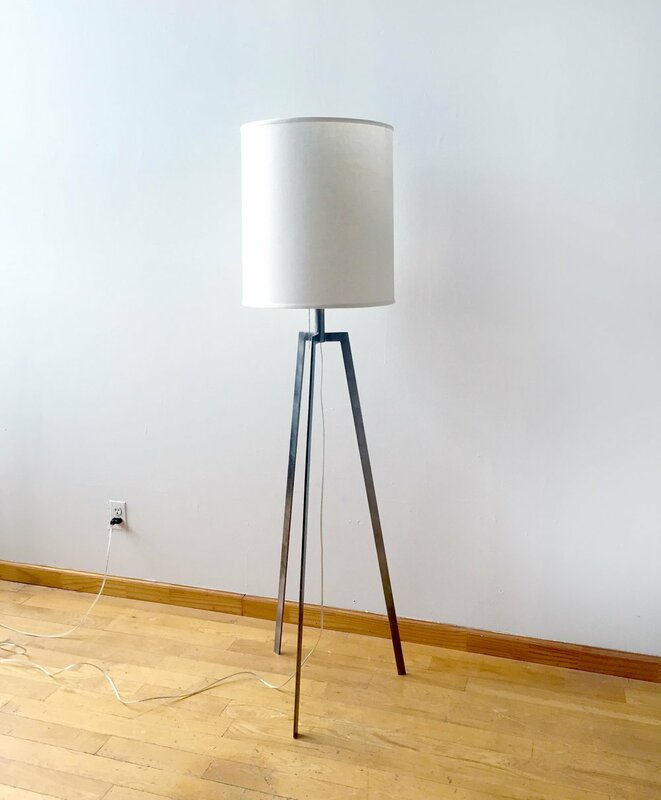 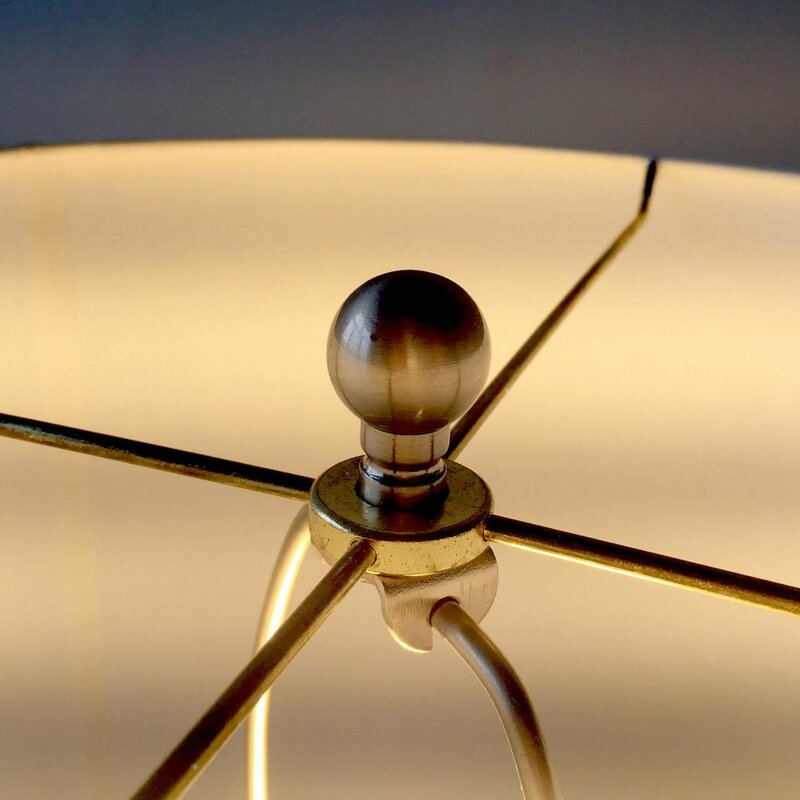 This tripod style lamp with its distinctive shoulder-leg style will perch above your chairs to fill the room with warmth, while the shade is long enough to hide the direct view of the bulb below or above. 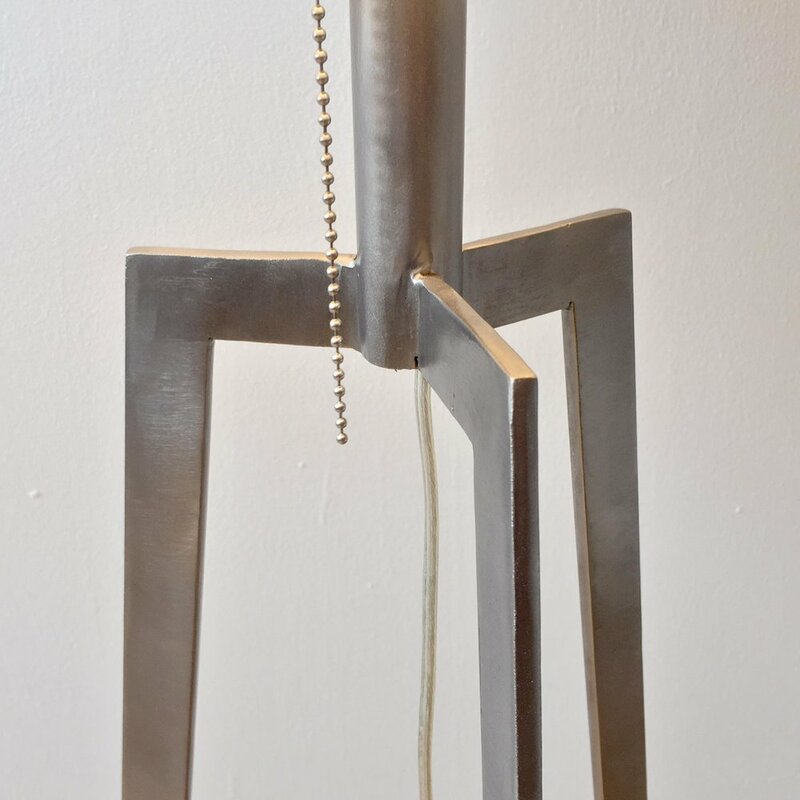 The steel is polished and then sealed to prevent rust formation.